RTÉ's long-wave radio service will be temporary unavailable until the 7th July 2017, leaving many older Irish radio listeners in the UK without a service. Site-Summerhill Co.Meath. Complete outage from 27th June-7th July affecting RTÉ Radio 1 Long Wave. In the meantime, the station can be heard on FM, on various digital radio platforms and online in the Republic of Ireland and on satellite, cable and online in the UK. On satellite, the frequency for RTÉ Radio has recently changed - they can now be find on the new frequency of 11836, horizontal polarisation, symbol rate: 27500 FEC: 5/6 - the change will primary affect generic (non-Sky) free-to-air satellite receivers. 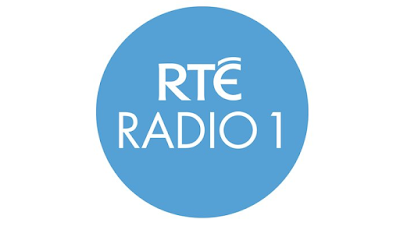 The transmitter work is in order to keep the long-wave service on air for longer than originally planned: originally, RTÉ had planned to close its long-wave service by now. Following high-profile protests from listeners in the UK, particularly from older listeners who say they can't migrate to the new digital methods of the listening to the station, the service was retained for a few more years. In the long term, RTÉ is looking at making a service available on various small-scale DAB multiplexes in the UK, to improve coverage in cities with a large Irish community.